Pauline Walters Service Details - Lewistown, Pennsylvania | Barr Funeral Home Inc.
Pauline Mae Walters, 94, formerly of Lewistown, passed away at 10:10 p.m. on Monday August 27, 2018 at Valley View Haven Retirement Community, Belleville. Born February 12, 1924, in Lewistown, she was the daughter of the late Raymond M. and Anna Mae (Bedlyon) Kohler. In addition to her parents, she was preceded in death by sisters, June Vaughn and Carmen Beers; two infant sisters, Phyllis and Frances; and two brothers, Kenneth Kohler and Raymond Earl “Tooter” Kohler. Pauline is survived by her loving children, Donald L. Walters, of Chambersburg, Sharon A. Walters of Lewistown, Phyllis E. Wagner and husband Bryson of Granville, and Scott D. Walters and wife Stephanie of State College, Siblings, Bertha Snyder, of Reading, George Kohler of Denver, Arthur Kohler of Huntingdon, and Bernard Kohler of Lewistown, 9 Grandchildren, and numerous Great-Grandchildren. 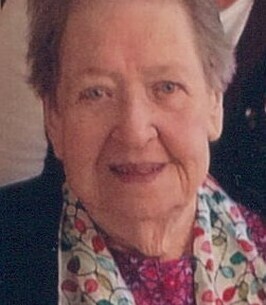 Pauline was a member of Lake Park United Methodist Church. She loved to cook, crochet, put puzzles together, paint, play cards and color. A memorial service in loving memory of Pauline will be held at 7:00 p.m. on Thursday August 30, 2018 at The Barr Funeral Home Inc and Crematory, 120 Logan Street, with Rev. Gerald Peachey officiating. The family will receive friends from 6:00 p.m. until time of service at the funeral home. In lieu of flowers, memorial contributions in Pauline’s memory are respectfully encouraged to a charity of one’s choice. 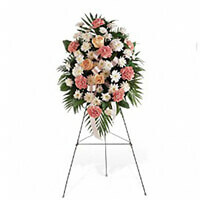 To send flowers to the family of Pauline Mae Walters (Kohler), please visit our Heartfelt Sympathies Store. We encourage you to share any memorable photos or stories about Pauline. All tributes placed on and purchased through this memorial website will remain on in perpetuity for future generations. Dear Phyllis, I'm so sorry for your loss and send prayers that God will hold her in his loving arms. May she rest in peace and may your happy memories of her sustain you during this difficult time. Thinking of you and your family. Keeping you all in our prayers during this sad time.